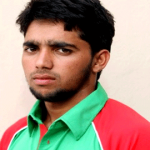 Mahmudullah Riyad is one of the best players of the Bangladesh National Cricket Team. Riyad is the first player for Bangladesh who has made back to back the ton in the World Cup history. 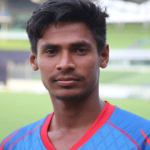 He is an all-rounder, terrific batsman, and an off spin blower who has played a role as a vice-captain for Bangladesh Cricket Team. 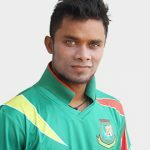 Mahmudullah Riyad was born on 4 February 1986 in Mymensingh, Bangladesh. Before, coming to Dhaka he learned cricket in his hometown Mymensingh located 115km to the north of the capital. In 2000, for the first time, he comes to Dhaka to play tournament ACC U15. At home, he takes part in the U 19 World Cup in 2004 and became the first class cricketer. Mahmudullah is a fabulous talented all-rounder who made his debut in the ODI cricket against Sri Lanka in 2007. He came to the timeline for his brilliant performance in his Test debut against West Indies by taking five wickets in 2009. This makes him third Bangladeshi blower who took five wickets in the Test debut. For his terrific performance, Bangladesh won the match against West Indies. He made a test ton against New Zealand even batting at number 8. Riyad was one of the most important members of Bangladesh for World Cup squad. On 5 March 2015, Mahmudullah and Tamim made a fabulous brilliant 139-run partnership against Scotland. Later, by the unique performance of Shakib and Mushfiqur Bangladesh chase the huge run and get the victory. Bangladesh is the highest run chase team against Scotland for the first time in the World Cup 2015. In the fifth game of group stage at Adelaide, Oval against England Mahmudullah made a historical first century as a first Bangladeshi cricketer in the World Cup history. Riyad also scored one of the highest partnership of 141-run with Mushfiqur for the fifth wicket. In this ODI match Bangladesh scoring highest against England and dropped the England from World Cup 2015 competition. 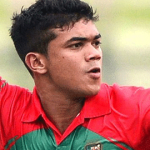 For the pretty well bowling of Rubel Hossain Bangladesh won the game and entered into the quarter-finals. In the last match of the group stage in 2015 World Cup against New Zealand Mahmudullah scored unbeaten 128 runs. He tremendously made consecutive ton which previously did not have any Bangladeshi player in the history of ODI cricket. Mahmudullah Riyad made a wonderful knock against New Zealand on June 9, 2017, with Shakib Al Hasan. Together they made a record scoring highest run in the fifth wicket partnership as the Bangladeshi player. Mahmudullah and Shakib added 224 runs when 4 wickets fall in 33 runs chasing 266. He scored 102 runs not out off 107 as third ODI century and Bangladesh won the match. Mahmudullah made his three ODI ton at the big stage two at the 2015 World and one at the Champions Trophy 2017 one century aginst England and two against New Zealand in his career. 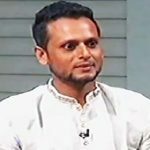 Mahmudullah Riyad got married with Jannatul Kawsar Mishti on 25 June 2011 and he is the father of a son. Riyad’s sister in law, Jannatul Kifayet got married to Bangladeshi most consistency player Mushfiqur Rahim.